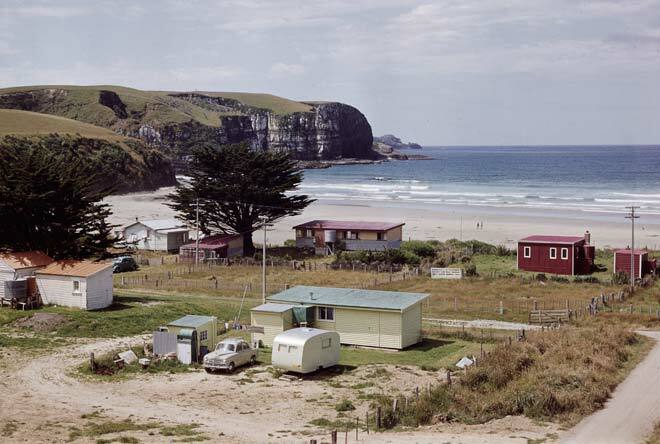 These baches are at Jacks Bay, in the Catlins district, and being in southern New Zealand, they were probably described by their owners as ‘cribs’. As the attractions of the beach became stronger and society became more affluent, people began to build holiday homes. Initially, they were often humble dwellings, knocked up from re-used timber.